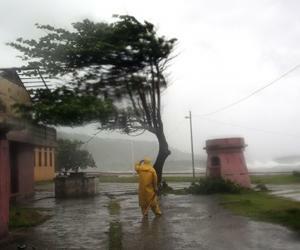 Cuban and US scientists held a joint workshop in Havana to study the frequency and intensity of hurricanes that hit the island in the past 10 thousand years with the aim of expanding their knowledge on those natural phenomena. In order to meet their objective, the scientists will research on the imprint left by the hurricanes on stalagmites in caves located in western Cuba, said project director Jesus Pajón. The results of the research study will be significant to evaluate possible return or recurrence cycles, particularly in the cases of noticeable strong hurricanes.